Chapels are held every other Monday morning in the gym. They may include singing, prayer, praise, special music, speakers, student participation or perhaps an audiovisual presentation. Chapels last approximately 20 minutes. This is a time when we can worship God as a school family, celebrate birthdays, and when announcements can be made to the entire student body. 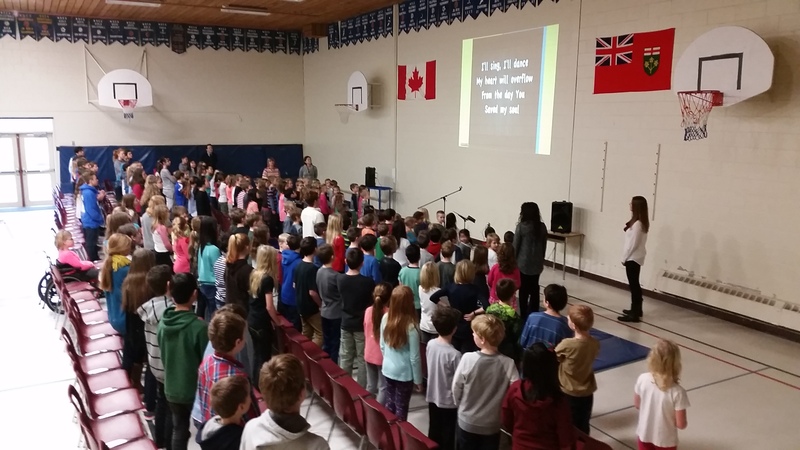 Assemblies are held whenever the occasion occurs that a special speaker or musical group is willing to come and share with the school community, or to open and close the school year. Parents are always welcome to join our school community at these times.